The Sibriex is an ancient evil–one older than the gods, older even, than the cosmos. Depending on who you believe. A rotting bulk of corruption, Sibriexes are disgusting, evil beings. Come learn all about them! 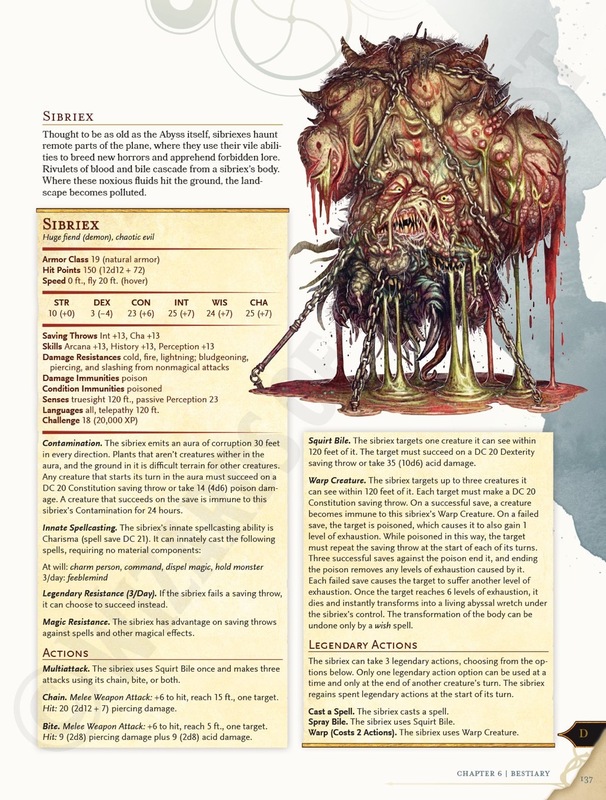 If you watched Mordenkainen’s Mayhem, then you’re familiar with the Sibriex. The floating, writhing mass of ancient flesh and slime is sometimes called the Da Vinci of demons. D&D Story Designer Adam Lee sat down with the folks from D&D Beyond to talk about this ancient evil. 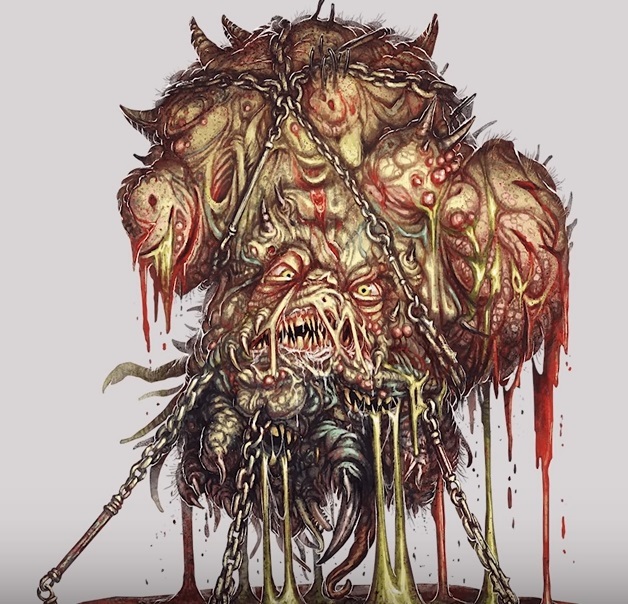 The Sibriex is a flesh-warping beast out of Mordenkainen’s Tome of Foes that creates corruption, literal, distilled evil, wherever it goes. These impossibly ancient and impossibly evil beings are often sought after by powerful acolytes of evil. Demon Lords and evil priests might find various reasons to seek out the tainted power of such a beast. The former because of the collected knowledge stored within, the latter to have their body remade into some gruesome-yet-powerful beast. These Demons are capable of offering a dark benediction to those they deem worthy of their foul blessings. Reshaped by the Sibriex, these reshaped beings are often a great way to keep a villain–or other NPC–active/relevant to the characters. After all if you’ve got a low level boss who gets away, and can be driven to seek the power and aid of a Sibriex, it’s the perfect excuse to reimagine foes of old. These monsters are more than capable of holding their own against a party of adventurers–which makes them a great boss fight. Especially if they’re something to work towards as an adventuring goal. As you can see they can transform another creature (though hitting a similarly high-powered creature enough to transfigure them isn’t as easy as you’d thinkg), and have no end of acid ready to be dispersed. So if you’re looking for a monster that brings the evil–or just want an insight into some of the story behind the monster, take a look.